You are in a mall buying a lot of things and now you have to wait in the queue for a long time and when your time comes, the person at the counter checks each item for its barcode, scans it and then the computer processes it slowly. Overall it’s a quite time consuming job both for you and the person at the counter. You are supposed to make a database of the students in a school or college or employees of any organization, present at any particular day. Manually checking the id of each person, making a database, updating it is quite a consuming work to do. So how about considering an alternative, by the virtue of which you can just pick up things from the mall, place your bag on the scanner and just pay the bill and leave. Also in the educational institutions or Organizations where you can just assign an ID tag to each member, check their attendance on any particular day through the ID tag. To achieve the above alternatives, the solution or the technology used is RFID. RFID or Radio Frequency Identification System is a technology based identification system which helps identifying objects just through the tags attached to them, without requiring any light of sight between the tags and the tag reader. All that is needed is radio communication between the tag and the reader. A RFID tag: It consists of a silicon microchip attached to a small antenna and mounted on a substrate and encapsulated in different materials like plastic or glass veil and with an adhesive on the back side to be attached to objects. 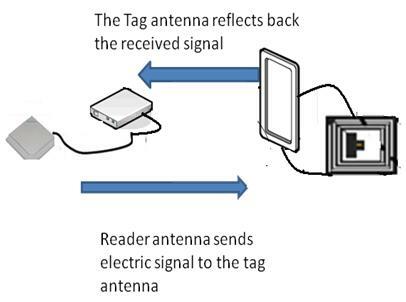 A reader: It consists of a scanner with antennas to transmit and receive signals and is responsible for communication with the tag and receives the information from the tag. A Processor or a Controller: It can be a host computer with a Microprocessor or a microcontroller which receives the reader input and process the data. Active RFID system: These are systems where the tag has its own power source like any external power supply unit or a battery. The only constraint being the life time of the power devices. These systems can be used for larger distances and to track high value goods like vehicles. Passive RFID system: These are systems where the tag gets power through the transfer of power from a reader antenna to the tag antenna. They are used for short range transmission. Here we are mostly concerned with the passive RFID system as it is most widely used in regular applications like in retail market organizations. The tag can be powered either using inducting coupling method or through EM wave capture method. Lets us have a brief knowledge about the system using these two methods. A Passive RFID system using Induction coupling method: In this approach the RFID tag gets power from the reader through inductive coupling method. 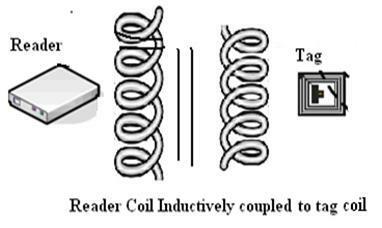 The reader consists of a coil connected to an AC supply such that a magnetic field is formed around it. The tag coil is placed in the vicinity of the reader coil and an electromotive force is induced it by the virtue of Faraday’s law of induction. 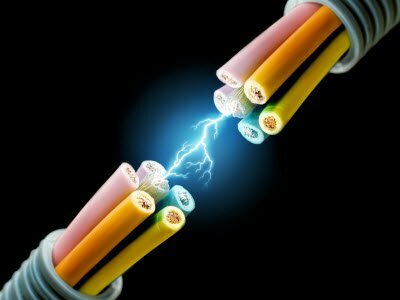 The EMF causes a flow of current in the coil, thus producing a magnetic field around it. 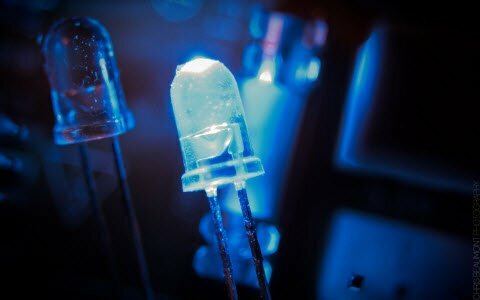 By the virtue of Lenz law, the magnetic field of the tag coil opposes the reader’s magnetic field and there will be a subsequent increase in the current through the reader coil. The reader intercepts this as the load information. 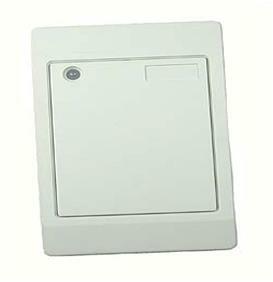 This system is suitable for very short distance communication. The AC voltage appearing across the tag coil is converted to DC using rectifier and filter arrangement. A Passive RFID system using EM wave propagation method: The antenna present in the reader transmits electromagnetic waves which are received by the antenna present in the tag as potential difference across the dipole. This voltage is rectified and filtered to get the DC power. 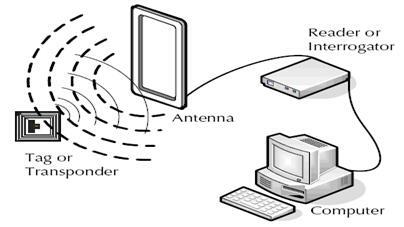 The receiver antenna is kept at different impedance which causes it to reflect a part of the received signal. This reflected signal is received by the reader and monitored accordingly. In the active RFID system, the reader sends signal to the tag using an antenna. The tag receives this information and resends this information along with the information in its memory. The reader receives this signal and transmits to the processor for further processing. So, now let us see a practical approach to the solution of our second problem – Maintaining and checking a database for members of an institution, using RFID system. The basic idea involves each person of the institution having an id card and when this card is swiped against the reader, the person’s info is matched with the existing system in the database and the his/her attendance is marked. 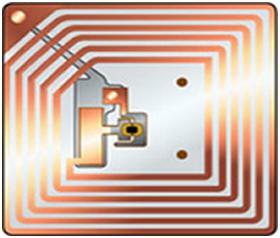 The whole system uses the passive RFID system with inductive coupling method. As the RFID card (tag) is swiped against the RFID reader, a carrier signal of 125 KHz is send to the tag coil, which receives this signal and modulates them. 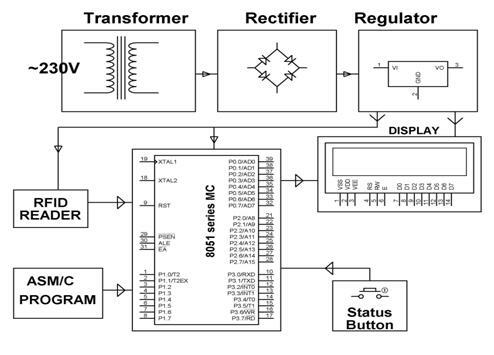 This modulated signal is received by the reader, interfaced to the microcontroller. 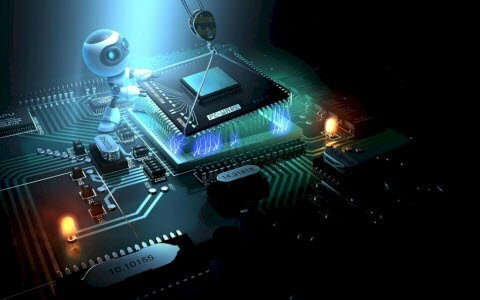 The microcontroller receives this data and is programmed to compare it with the data in the existing database. 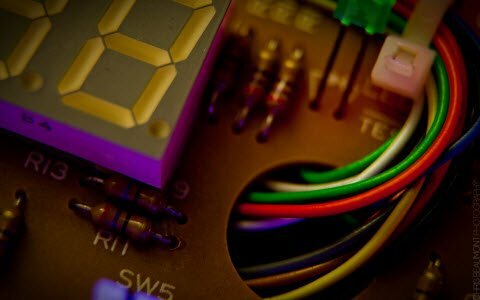 If the data matches, the relevant details of that particular person is displayed on the LCD interfaced to the microcontroller. So now I have given a brief idea about RFID system and a simple application, do think about some other applications of RFID and give your inputs. 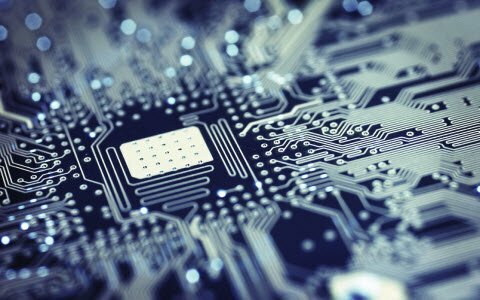 Next › How does the Smart Card Works? 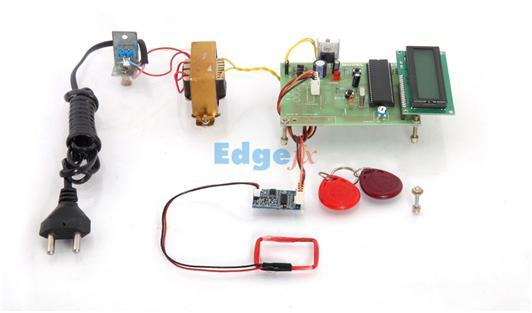 Please follow the link: https://www.edgefxkits.com/contactless-liquid-level-controller for your exact requirement. You can download project abstract and seminar presentation also from the link. 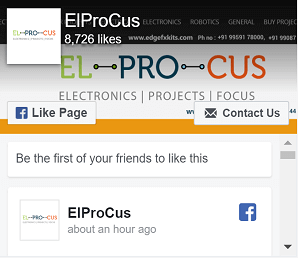 Please check the user-friendly website https://www.elprocus.com for complete details in the kit content section and go through the FAQ for details.